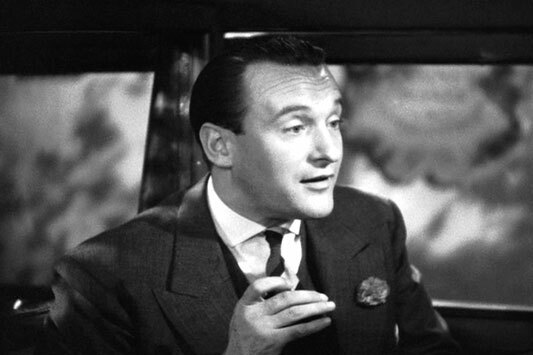 George Sanders won his Supporting Oscar for playing the cynical critic. 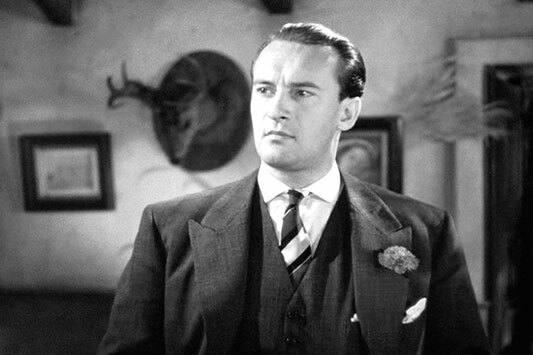 George Sanders was a British actor who was known for playing many suave cad parts. Born in St. Petersburg, Russia, to English parents, Henry and Margarethe Sanders. Saint Petersburg has long been a stronghold of German ex-patriots. The family moved to England when the 1917 Russian REvolution brok out, when George was eleven years old. After graduating from college, he went to work at an advertising agency, where he met a secretary, aspiring actress, Greer Garson, who encouraged him to become an actor. 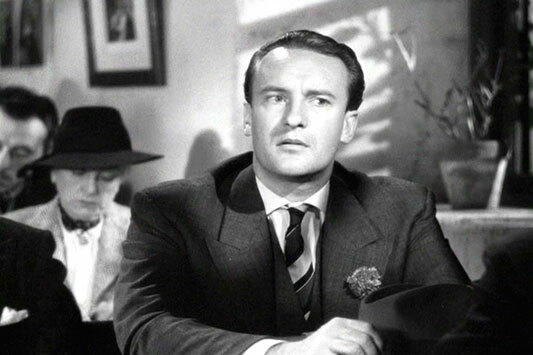 George Sanders had a creative knack in portraying smooth, conniving cads, and charming heels. "I was beastly but never coarse. A high-class sort of heel." 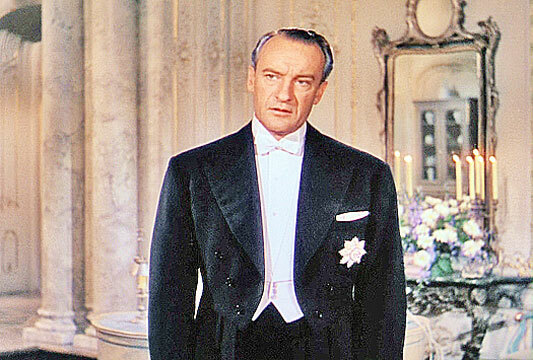 His upper class, English accent and his ability to deliver cutting lines of dialog, in a smooth, deep voice, made him poplular with filmmakers. 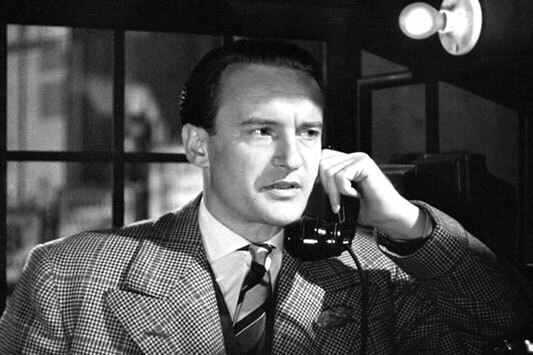 After working in business for several years, George Sanders made the career move to acting in the early thirties. 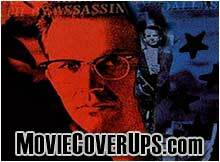 Sanders' first starring opportunity came when he took over for Louis Hayward, the characterization of Simon Templar, a modern Robin Hood nicknamed "The Saint," in a handful of extremely popular RKO ''B'' thrillers. Beginning with "The Saint Strikes back." 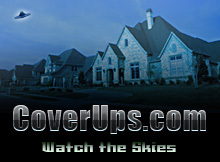 RKO then went on to give him the lead role as "The Falcon," in a similar series of thrillers. Actor Tom Conway was his brother and the two starred together in several movies, such as THE FALCON'S BROTHER; (1942). In 1958, George made an album under the ABC-Paramount Records, singing in his lovely barritone/bass voice, called THE GEORGE SANDERS TOUCH: SONGS FOR THE LOVELY LADY. 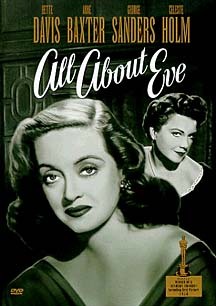 While his role as Addison DeWitt in the film, ALL ABOUT EVE, was the one that he was born to play, Sander's most enduring role may turn out to be playing the voice of the evil tiger, Shere Khan in Disney's THE JUNGLE BOOK, in 1967. He refused to sing though. 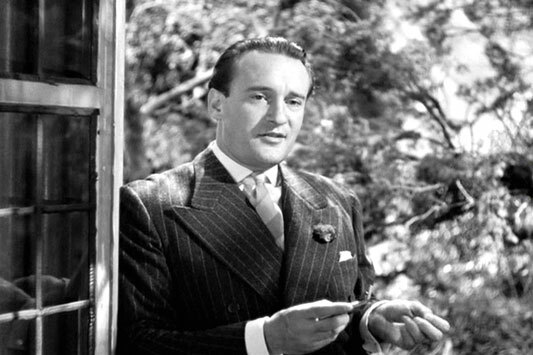 George Sanders suffered through some failed marriages and personal losses that hurt a lot. 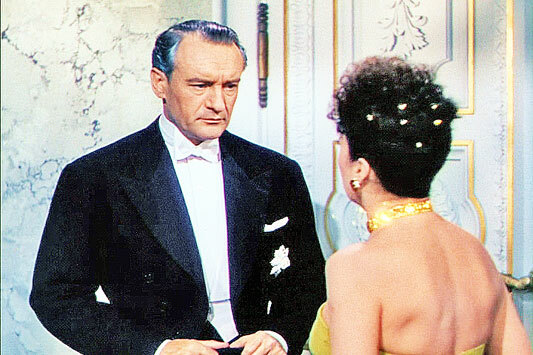 George Sanders was married to Susan LArson; (1940-1949), two of the Gabor sisters, Zsa Zsa Gabor (1949 - 1957) and then Magda Gabor (1970 - 1970), that didn't even last a year. Sanders was married to actress Benita Hume from 1959 until her death from bone cancer in 1967. Also in 1967, his brother, Tom Conray died from liver disease due to his alcoholism, and their mother, Margaret Sanders, died as well. When it rains, it pours. Sanders developed dementia and lost the ability to play his grand piano. 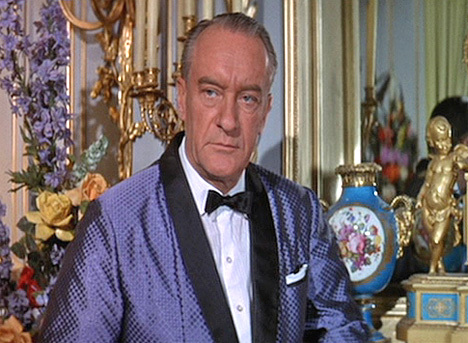 George Sanders commited sucide in Barcelona, Spain in 1972 . He left a note, explaining why; "Because I am bored with the world. I have lived long enough. 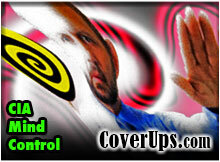 I am leaving you with your worries in this sweet cesspool. Good luck." George was cremated, and his ashes were scattered in the English channel. 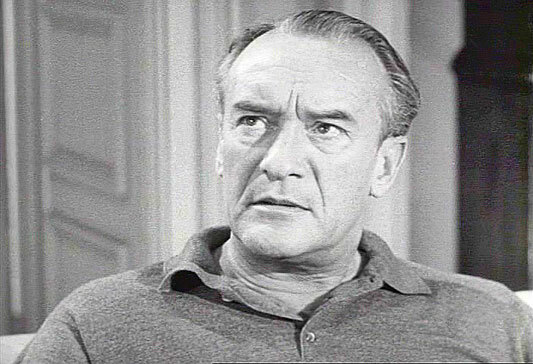 George Sanders in A SHOT IN THE DARK (1964). 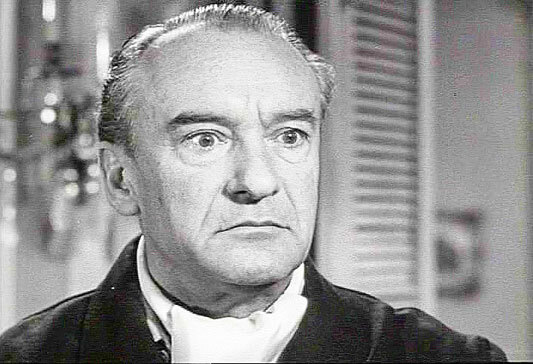 Sanders guest starring in CHECKMATE (TV series circa 1960-1962). 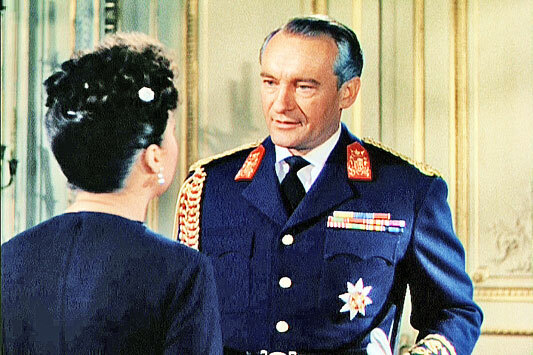 George Sanders in CALL ME MADAM (1953).